On Wednesday, September 26th, 2018, the project PO 333 638 was launched in Abidjan: “Strengthening the capacities of operators of the domestic wood sector market” in Côte d’Ivoire. This project, funded 100% by the FAO-EU FLEGT program, will run for a period of 12 months. 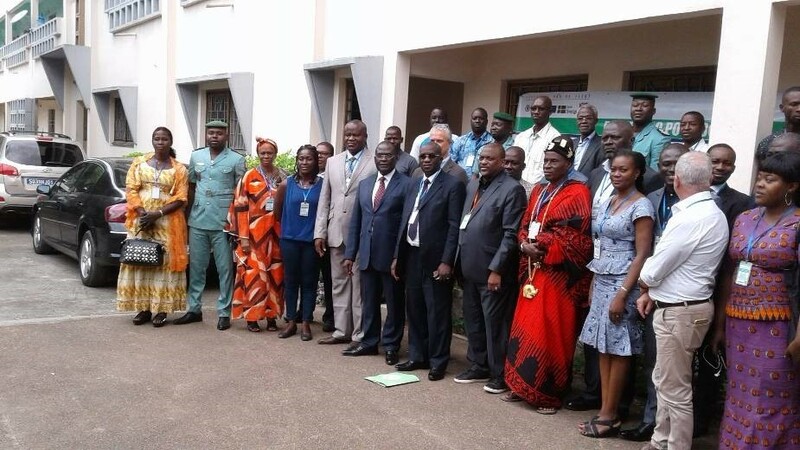 The main area of ​​action of the project is the region above the 8th parallel (North of the Country); it aims to create an integration of SMEs and informal actors in the APV-FLEGT process in Côte d’Ivoire by consolidating them and securing their supplies in a legal and sustainable manner. The launching ceremony of the project, which gathered 52 participants with a strong presence of wood sector operators from Korhogo and its region. Boubacar Ben SALAH, President of the Union of Industrial Producers of Wood (SPIB) and Project Coordinator led this meeting and presented the project in broad outline. And the visibility of the project at national and international level.